A trust account without a named beneficiary is actually a common occurrence. This situation usually occurs when the named beneficiaries die without heirs, and the trust agreement does not take this into account. When this situation occurs, the disposition of the trust is determined by court order. When a trust has no known beneficiaries, a person with legal standing to bring a lawsuit will file a petition with the court to determine what happens to the trust. If there are no named beneficiaries, then the duly acting trustee is the only interested party with legal standing to petition the court. Distant relations not named in the trust are not interested parties to the trust, and do not have legal standing to file a lawsuit. If the previous trust beneficiaries were individuals, the trustee will make every reasonable effort to reconstruct the family tree and to locate any relatives prior to petitioning the court for instruction. Notice of the court action is sent to any permissible beneficiary, who has the right to retain a lawyer and appear in court. 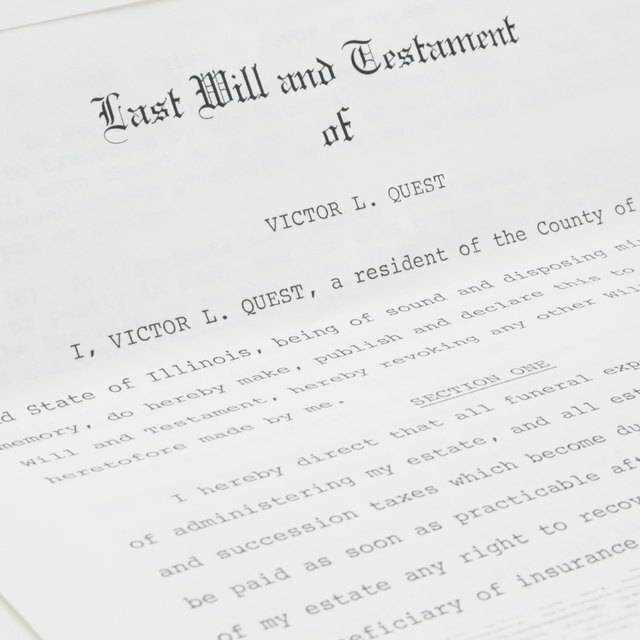 Unless there are compelling reasons not to, judges in most states will usually follow the state family lineage laws that are in place for a person who died without a will. If the trust beneficiary was a charity that no longer exists, then the trustee will petition the court to appoint a new charity under the cy pres doctrine. Cy pres is an abbreviated form of French that means "as near as possible" used in our legal system. The court will use its judgment to appoint a charity "as near as possible" to the intent of the grantor. Family members who were not previously trust beneficiaries will still not benefit, since the judge will continue the trust for charity as was the grantor's original intent. The first step regarding a trust without beneficiaries is to talk to the trustee. Any person who believes he has an interest in the trust can retain a lawyer to represent his interests. Trusts without beneficiaries are complicated legal proceedings, and it is always a good idea to hire a lawyer.